For any ecommerce, the payment gateway is the vain to flow pure blood (money). We know that the future of every business is going online (e-commerce). Whether you provide services or sell product, the ultimate mantra to reach millions of people is through a website. A website takes your entire business to a customer’s bedroom; in other words under finger tips! Ultimately everything ends up in vain if any of the above points go missing from your notice. So placing (integrating) a payment gateway in a proper way can only make an ecommerce site successful in terms of churning out revenue (finally deposited to the owner’s account after any transaction completion). Secure transaction: In monetary transactions everyone looks for security. So the time you are going to buy any payment gateway, make sure that you get a service that provides optimum encryption. You need to discuss with your service provider about the security matter. Security against hacking can never be ignored or taken lightly. 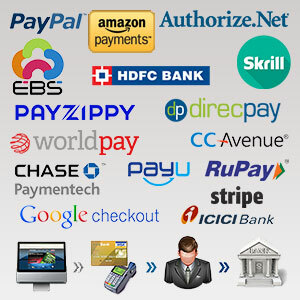 Ease of Use: Whichever payment gateway you buy, you have to check the ease of use. You need to check from a user perspective. In every possible way the user must feel comfortable in making the transaction. Sometimes, it is found that complication of use lead in abandonment of transaction. If you take opinion from users or your own in using a payment gateway, it would be always fruitful. Rapid integration loads of features: The most important part of using a payment gateway is the integration with the site and connecting it with shopping cart and bank accounts. You need to know if the integration documentation is easy to understand and comprehensive to the web developers. At the same time it would not be a bad idea if you can compare the features available (multiple account integration, currency conversion, language guide, payment processing with debit and credit cards etc.). Certification or recognition: In most of the cases payment gateways come with recognition and recommendation from international authorities. So the time you are buying a payment gateway, it is better to check if the service is granted or certified by some of the internationally recognized authorities. PayPal: From 1990 onwards PayPal is one of the longest established and probably the best known payment gateway service provider. It is believed one of the most trustworthy services for transferring money online. Amazon Payments: It has started service in 2007. Amazon Payments provides customers with ease and the trust they are habituated with Amazon.com. Authorize.Net: If you need a service provider which is highly trusted by more than 300,000 customers, this is what you are looking for. It is established in 1996. Authorize.Net is one of the oldest and most popular payment gateways for its customer friendly services. DirecPay-It accepts multi-payment options with secure internet and IVRS process. It has T+2 settlement cycle that assures payment settlement within 2 working days. It is superb tracking of dropped transactions to understand errors or reasons of dropping. Transactions coming from any high-risk countries are flagged. Payzippy- It is one of the new service providers in the market. It has all the features and security measures necessary for a payment gateway to have. One of the fastest growing ecommerce portals Flipkart is the owner of this service. EBS Payment- It is one of the most trusted payment options in India. It aims at adopting unique approaches (professional, consultative & merchant-centric) for customer benefit. It is certified for PCI DSS 2.0 Level 1 compliance and awarded ISO 27001 Compliance Certification for Information Security Management Systems (ISMS). 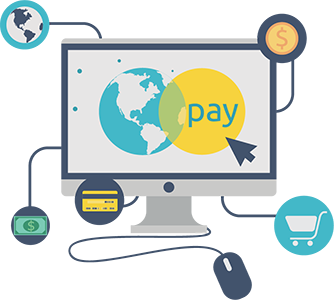 PayU India- This payment gateway service provider is highly acclaimed for its customer support services. Besides that it provides all the latest features necessary for secure and smooth transactions. CC Avenue-It is one of the most popular gateways used in India. It offers a plethora of payment options with superb security arrangements. It processes almost all kind of cards, supports direct bank transfer and multi-currency payments. It is preferred for its better customer support and flexibility of services. Sign up fees: The first point that must come in your is the sign up fees. For every customer budget is a matter that takes a decisive role. It is worth looking out for a payment gateway that offers free sign up. However, to sell huge volume of products or to add particular features some fees can be there. 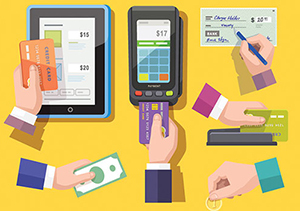 Transaction fees: Another big thing about any payment gateway is transaction fees. Never take a service that eats into your profits! When you select a service provider make sure you are aware of the transaction fee structure. Never have this prejudice that the best known gateways have higher transaction fees! There are so many reputed service providers that charge lesser fees yet provide top class trustworthy service to customers. Countries and currencies supported: Online business means worldwide business transactions. So to grab revenue from customers of different countries, your payment gateway should support multiple currencies. Never take a service from a gateway that does not support multiple currencies. On site or off site payment: It is very much important to know how the payment happens. I mean to say whether you are taking your customer to third-party (website of the payment gateway provider) or keeping at your site. PayPal is an example of an off-site payment process. For small companies, off site payment processing does not matter. But the time you are big brand, you should keep your customer on your site to complete the payment. So at the time of choosing a service provider, keep in mind that you choose accordingly – on site (keeping your customer on your website) or off-site. Payment settlement: Some payment gateways allow you to set up payments immediately on your account while others may take specific time to realize the payment at your page. So you have to find out the process and contact according to your own will – not on their will or terms. Type of products sell option: It is crucial that you have no limitation on selling different types of products or services. There are some gateway providers that do not allow sell of digital products or some specific type of services. You should read the terms of sell to know if you can sell your products or services without having to bind your business to certain limitation. Customer support: Last here but not the least - how is the customer support of the service provider. It is not that the gateway is loyal to you only as you are their customer. It has to remain responsible to a greater extend to your customer who are paying through those gateways. If things go wrong, you would lose business. Some claim 24X& service but end up not providing the same; find out the truth from the reputation from the market surveys or reviews. If you find a service provider meets all the above criteria and even some of the specific needs of your business, choose it. Ultimately your online process should be up to the international standards of monetary transactions. It is your business and reputation attached with the payment process. Mistakes can mar your business and the reputation too. Knowledge: The web developer should have adequate knowledge to integrate a payment gateway in an ecommerce site. At the same time it should have guts to guide you in selecting the right service provider for your business type. Experience: It is not to mention that selecting new or inexperience people in this regards can be damaging. So you better take a web developer who has hands on experience in implementing payment gateway to any ecommerce site. You would be able avoid risk of losing money and time. Reputation: In every possible way as a customer, you have to make it sure that your chosen web develop is reputed in its field of service if not as much as your chosen payment gateway provider. Reputed people are ever concerned to keep their customer service top to the mark. They treat every customer as premium customer. However, my clients never find issues in my work as I like to make things clear to them in every step. I offer them with lots of choices in selecting a payment gateway service provider. I do take care of the financial capability of my client, security issues and of course type of gateway suitable for the entire ecommerce site development structure; in other words business nature is kept in mind at the time of selecting a payment gateway. Any time you have any query in your mind regarding a payment gateway integration or selection, feel free to contact me.